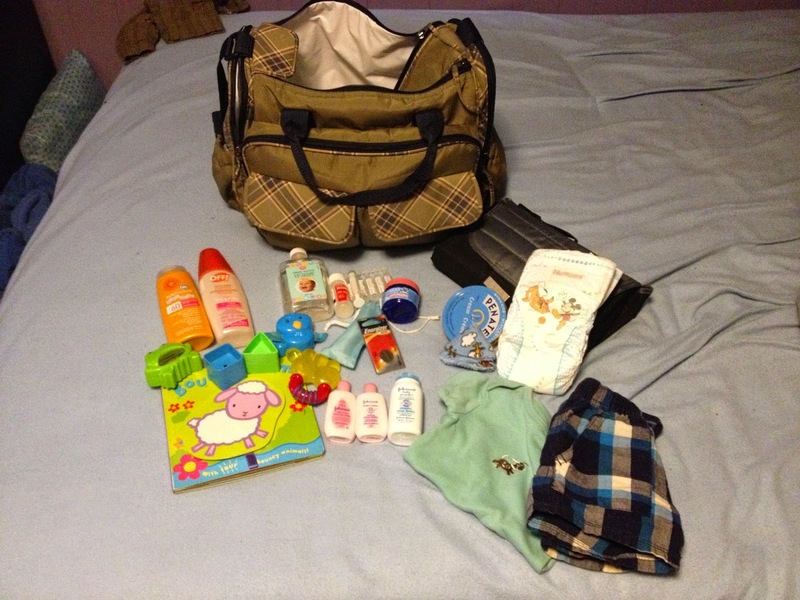 Most Important Thing in Your Diaper Bag: Toss up between diapers, wipes and a change of clothes. At one point or another, I was in a dire need for one of those things, sometimes all three at once. Basic Save: Sunscreen. Being a new mom I was incredibly worried that the Sun would burn my little boy's skin. Looking through the options for sunscreen, I was bewildered by the prices being so high. I decided to just try the store's own brand of sunscreen instead of going for a name brand, and I must say it was a good decision. Essential Splurge: Good diapers! I had the misfortune of going for a cheaper brand. Two days into the diapers, my son had peed through them and soaked his outfit because of the improper fit. Best Preparedness Advice: Always have a diaper and change of clothes at hand for both you and baby. Even a simple shopping trip can end in poop on the pants and up the back and pee on your shirt. It's no fun walking around soaked in baby pee. Once, after driving all day, my fiancé and I went into Leon's to furniture shop. Thinking we would only be 10 minutes, we left the diaper bag in the car. BIG mistake. Sebby decided he needed to poop, and poop everywhere. I had to rush my fiancé out the door to get the bag and a second time to get some clean clothes. While trying to clean up the massive poo storm that happened in my son's pants, he decided to pee on my shirt. After getting him all dressed and clean, I had to walk around the storm covered in baby pee. One of those moments when not being prepared just ends in a moment to laugh it off. No kidding! So what's Brooke's best tip to fellow and future mothers? One piece of advice that I find has helped me a lot is do what feels good for you, as a mom. Don't feel pressured by other moms who decide to give you their own tidbits of advice are trying to help, but if you aren't comfortable with it don't do it. If you have a happy, healthy baby, obviously your mommy instincts are working. Also, if your baby just can't seem to stop fussing or crying and your at your wits end, give that baby a hug. The hug is more for you than anything. You'll feel better after. Top row: diaper bag / Middle row (left to right): sunscreen, , gripe water, Tylenol with syringe, Hydrasense, Penaten cream, Peepee Peepees, diapers and change mat / Bottom row (left to right): toys and book, thermometer with spare battery, baby lotion and powder, change of clothes.